Links to Big Island Resorts and Vacation Rental Condos. 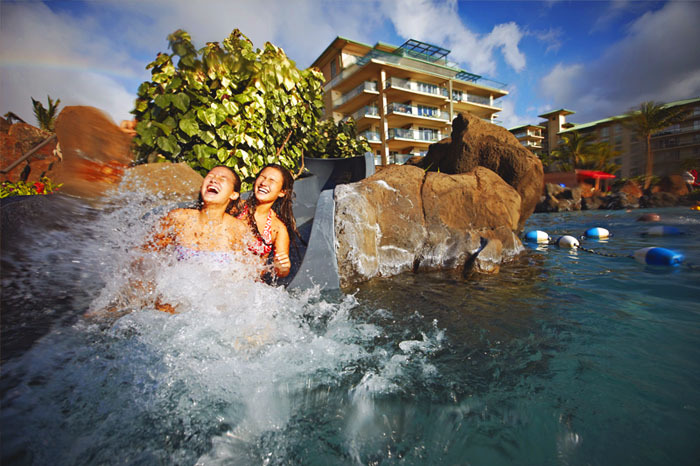 Big Island resorts from Kona Airport are 7 miles to Kailua Kona Town and 20 miles to Northwest Shore resorts. 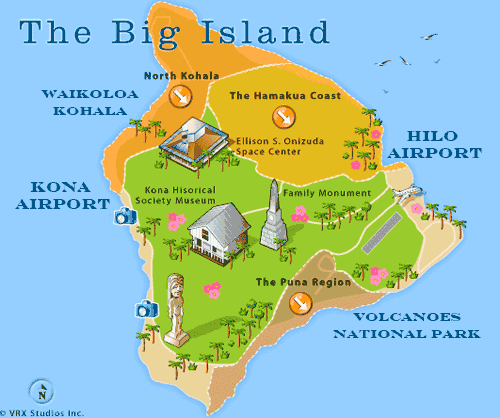 Hilo airport is 100 miles from the West Shore Big Island resorts. The Big Island airport is small with shuttles to the car pick up. The Northwest shore has Big Island resorts with ocean front beaches and good swimming. Snorkeling around the lava outcroppings is excellent. Northwest Shore, also know as Kohala Coast or Kona Coast is north of the Kona Airport along the West Shoreline to the north tip of the Big Island. 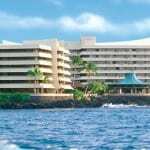 On the West Shore, Kona Town, there are 3 and 4 star resorts with ocean front settings with rugged volcanic coastlines. The best swimming beaches are nearby with great snorkeling. Snorkeling and deep sea fishing are extraordinary along the Kona Coast. Kona Town, also known as Kailua Kona, is south of the Kona Airport. The central business district for the west side of the Big Island. Kailua Kona extends south to Keauhou and Captain Cook. The East Shore is rain forest and residential including Hilo Town. The Volcanoes National Park is accessible from Hilo Town or from the Southwest Coast road from Kona. Travel time is 2 to 3 hours from the West Shore resorts. On the east shore there are two destinations. Hilo Town and Volcanoes National Park. Hilo Hawaiian on the east coast with a view of the town across the bay. The views are spectacular as the constant change in the weather. Colorful rainbows over lush green mountains on the slopes of Mauna Loa and Mauna Kea. Downtown shops and cafes are quaint with local produce and crafts offered by the farmers and artists of the district. A 28 mile drive up the mountain slope is Volcano Village and the park entrance. The Volcano House Lodge is within the park boundaries and offers views of the lava from the hotel. A full service restaurant is on property. The National Park Headquarters is adjacent to the hotel. If you want to view the lava after dark include an one night stay in your package. 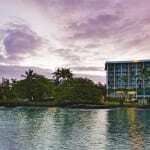 Big Island Resorts are on the west and northwest shores where climates are warm and dry. Several excellent beaches on the Kohala Coast have ocean front Big Island Resorts at reasonable rates. The east shore is rainy and rugged with ocean conditions that are dangerous. Accommodations are limited to Hilo and Volcano. The Hilo district is exceptional for sightseeing and historic towns. Waterfalls and the Kilauea Volcano at the national park are accessible by car. Guided tours of the most popular sights are available. The South Shore is where you can see black sand beaches and several small towns. Agricultural history is strong in this district. Driving north on the west coast from South Point is rugged. Be sure to fill up your gas tank in Hilo. Vacationers staying at Big Island Resorts and hotels have an opportunity to visit the Keck Observatory. Tours depart from the hotels in Kona and Waikoloa on the West Shore of the Big Island. What’s unique about the Big Island of Hawaii? The Keck Observatory! 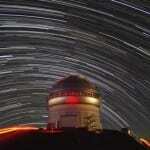 Visits to the observatory must be arranged through a tour operator. Book early if you want to experience the highest mountain in Hawaii and go to the observatory. Tour operators supply jackets, the altitude is 12,000+ feet. Tours depart from the hotels in Kona and Waikoloa on the West Shore of the Big Island. Age restrictions apply. Call us for more information about sightseeing on the Big Island. Book a vacation package that includes both sides of the island.